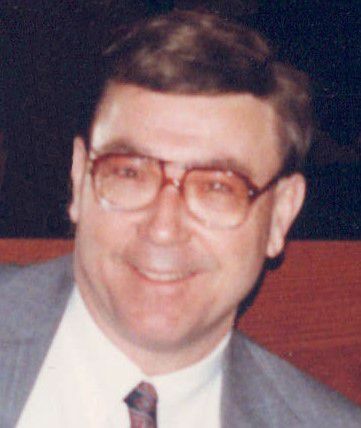 Obituary for David E. Carnahan | Jaycox-Jaworski Funeral Home & Crematory, a Branch of Gentle Care Funeral & Cremation Services, Ltd.
David E. Carnahan, age 76 of Elizabeth Township passed away Sunday, March 17th at his home. Born January 24, 1943, in McKeesport, he was the son of the late Glenn E. and Nancy Mae (Hayden) Carnahan and the beloved husband of 55 years to Mary Jane (Matuschek) Carnahan. He was the loving father of David (Jennifer), Michael, and the late Dr. Brian Carnahan. Dearest ‘Pap’ to grandchildren Michael, Gavin, Patrick, Liam, Megan, William & Nathaniel, and cherished father‐in‐law to Maria Witt, Sandra Carnahan, Paula Carnahan & the late Lisa Otrosina. And best friend to his canine companion Grady. David earned a BS in metallurgical engineering from the University of Pittsburgh and an MBA from WVU. He was the Vice President & General Manager of Penna Flame Industries in Zelienople; being employed there for 30 years. David was an avid tennis player with the Elizabeth Tennis Club, and a passionate civil war buff. He successfully battled type‐I diabetes for 63 years. He was a devoted family man and loved spending time with his wife, children & grandchildren.